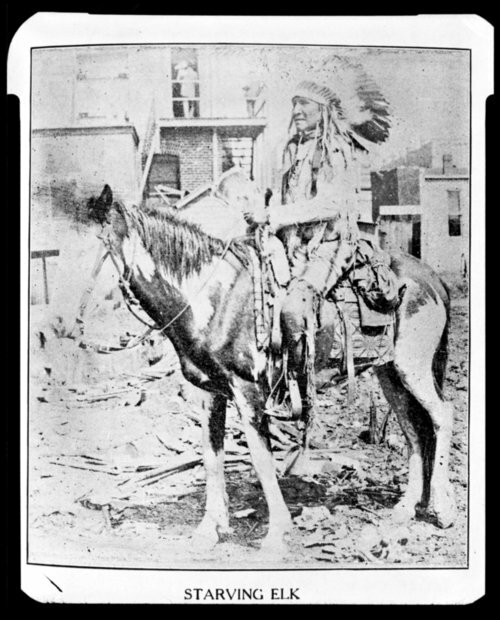 This photograph shows Starving Elk, a Cheyenne warrior, sitting on a horse. This photograph was copied from The Indian's Last Fight by Dennis Collins. Funds for digitization provided by Mr. Steve Peckel in memory of William Chalfant.